Finish, zinc plated and passivated. Other colours to special order, including NATO Green. Mast sections natural finish or clear anodised as indicated. +55 to -40 degrees C (Dry). 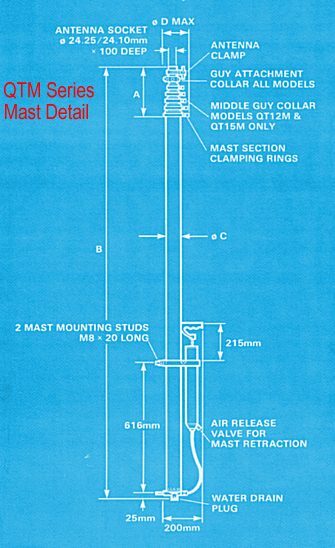 All Clark Masts QT Classic portable masts have section clamps for semi-permanent erection. Clark Masts QT Classic portable masts do not have keyed sections, however the locking collars can be used to prevent individual section rotation. 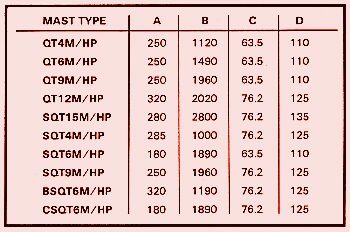 accessories is available for all Clark Masts QT Classic portable masts. Clark Masts QT Classic portable mast Specific Accessories are available, including internal and external vehicle mounting brackets, and Field Mounting Tripods. 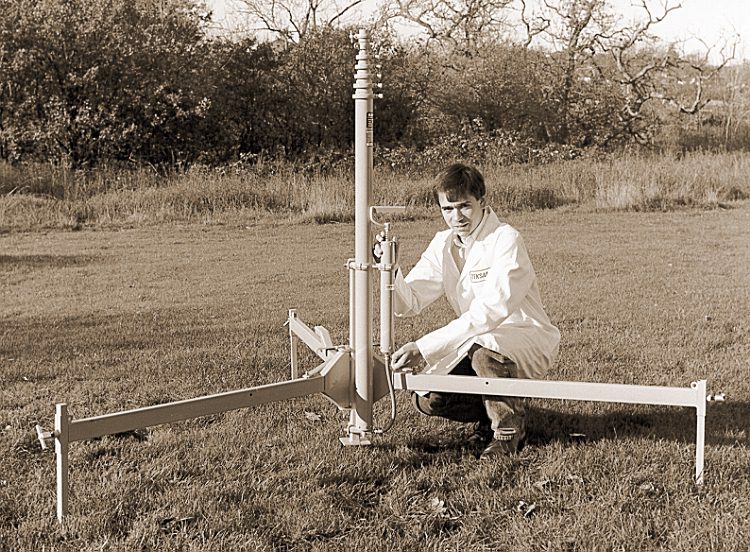 for use on the smaller Clark Masts QT Classic portable masts up to 6 metres. Web Article on "The History Of Clark Masts". Copyright © PORTABLE MASTS AUSTRALIA PTY LTD 2019 - All rights reserved. All materials contained in the site www.portablemasts.com.au/ are protected by copyright and shall not be used for any purpose other than private, non-commercial viewing purposes. Derivative works and other unauthorized copying or use of stills, audio and video footage are expressly prohibited.